The purpose of 2 days conference is to bring together attendees from around the world who are interested in exploring the link between pain and its management. The purpose of 2 days conference is to bring together attendees from around the world who are interested in exploring the link between pain and its management. 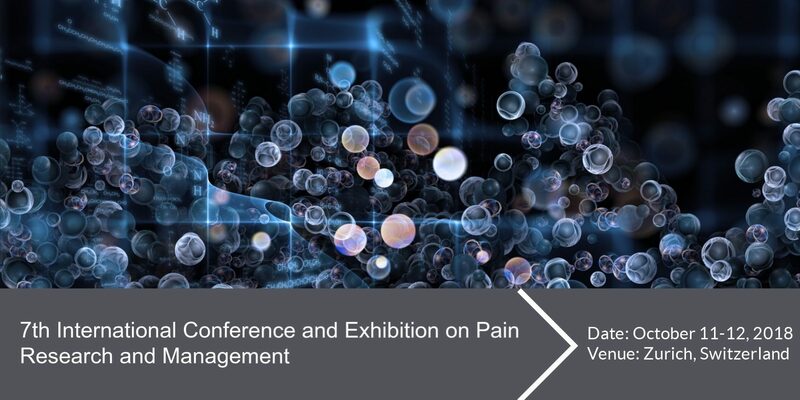 The conference will focus on topics such as Pain management & rehabilitation, Anesthesiology and Pain medicine, Physical & physiological approaches in pain management, Pain relief analgesics, Interventional pain management, Cancer pain management, Novel therapeutic approaches for pain management and much more. Altogether, the conference will feature presentations on the newest developments in pain management and research.